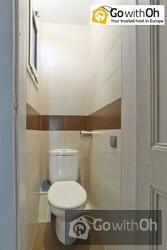 This apartment with a capacity for 4 people offers all the amenities to ensure a pleasant stay in Barcelona. It has a kitchen with everything you need and a lounge with a table and light decor creating a relaxing atmosphere. 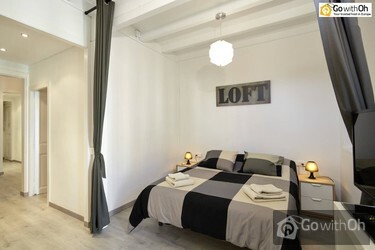 The lounge even gives access to a small balcony bringing in a lot of natural light. 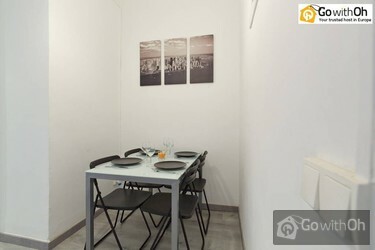 Located in the Eixample district, known as being residential and quiet, you have everything you need very close by. The two closest metro stations are the Girona station, on line 2 and 4, and Tetuan on line 2. However you must know that you can easily walk to most attractions, including the Sagrada Familia Cathedral and the Old Town. There are several supermarkets just round the corner as well as the local market. You'll also find several shops, restaurants and bars right in front of the building. 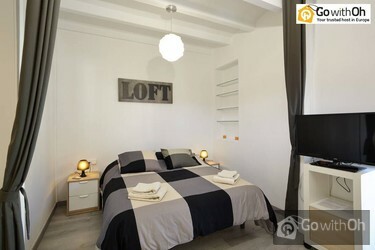 Between 21h00 and 23h00: extra charge of 30 . Between 23h00 and 24h00: extra charge of 40 . After 24h00: extra charge of 50 . Before 09h00: extra charge of 30. Is a quiet apartment so we ask all guests to respect the neighbors and make no noise after 22h00.